British Airways has announced a new codeshare agreement with Loganair. The new agreement, which comes into effect on 1st September when Loganair begins operating as an independent airline, will enable customers from the Highlands and Islands to book directly on to services on British Airways’ global network at London’s Heathrow, Gatwick and City Airports, serving more than 200 destinations. 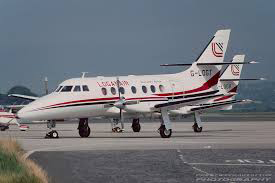 Loganair customers will be able to connect to British Airways domestic services at Inverness, Edinburgh, Glasgow and Aberdeen, flying on a “through ticket”, with the facility to check in hold baggage at their departure airport straight through to their destination. Loganair managing director Jonathan Hinkles (pictured) added: “Today’s announcement marks a new and welcome development in the long-standing partnership between British Airways and Scotland’s airline, Loganair.